Posted January 25, 2018 by Kelly-Hill Company & filed under Uncategorized. 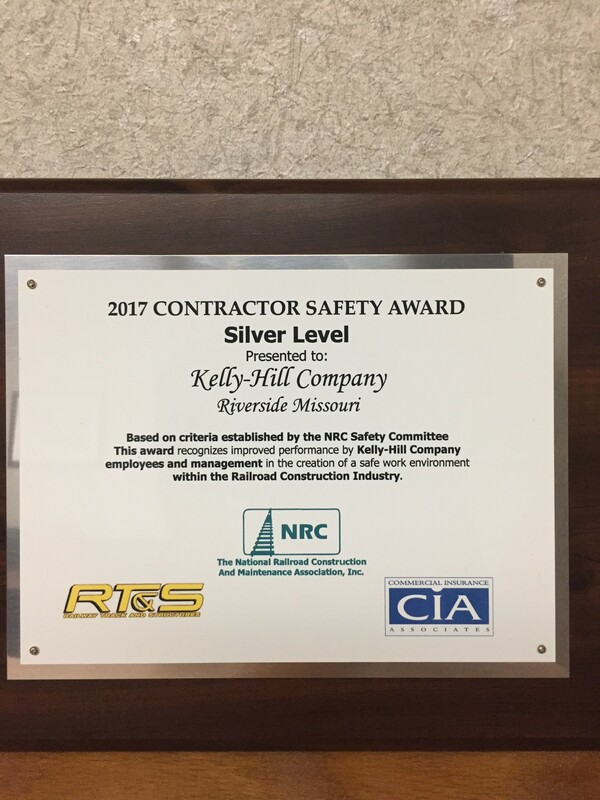 We are proud to announce that we have been awarded the Silver Level Safety Contractor of the Year 2017 Award by the National Railroad Construction and Maintenance Association. 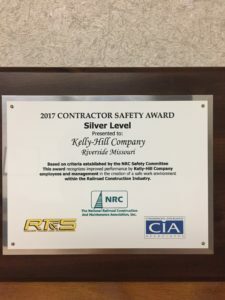 Kelly-Hill Company operates with the highest possible safety standards and practices by implementing Toolbox Topics in weekly meetings and having safety training requirements for all employees. We’re excited to start 2018 with a strong safety record, with over 400 days without an OSHA recordable and nearly 700 days without a lost-time injury.